Although it may still come as a surprise to some, it is reported that one of the original digital marketing channels, email marketing, has a better ROI compared to other promotional channels. On average $1 spent on email marketing yields $44. But that is not to say that all campaigns are going to be this effective. The main reason that most email campaigns are not that effective is because of the common mistakes that most sales executives make. We are going to look at some of the most common mistakes that should be avoided by a lead generation manager. Most emails sent by brands tend to use a no-reply address when they decide to send out newsletters. This is a huge mistake. When users want to get in touch with the company, there is no way for them to do so. It also shows that their opinions do not matter, and this will affect your market growth. No-reply addresses have a negative impact on deliverability. With most emails not allowing subscribers to contact the company, the likelihood of the email being sent to spam is high. Email service providers will then send most of these emails to the spam folder if more subscribers do it. Most, if not all, email clients automatically by default block images to save their bandwidth and also protect users from spam. There are 43% of Gmail users who always have their images blocked. This is why you should not rely on images alone when you are sending a cold email. If you do not have space for a text-only email, make sure that underneath the image, there is a description text. The text allows the recipient to understand the context even if the pictures have been blocked by the email client software. When you are doing cold email marketing, the bounce rate and spam scores of the emails are important to be mindful of. When you have higher bounce rates, it means that the emails are most likely being filtered to the spam folder. When sending an email and it does not reach the inbox it can have significant negative consequences regardless of the underlying reason(s). Typos when writing the email address or any other reason, it still as bad. To avoid such a scenario, verify the email list in use and ensure it only has active addresses. Verification helps to make sure that the company’s reputations are held and the process helps to ensure that the sent email will not bounce. Some of the email verifiers available include SNOVio, which has a built-in toll to check both normal emails and bulk emails. In an email marketing campaign, there are approximately23.3 links. That is a huge number. But some marketing campaigns do not include any links. The purpose of an email is to get as many clients to click on the links as possible. But if there are no links to the emails sent to subscribers, the likelihood of them scrolling through the website to look at the offer is negligible. As the sales manager of the company, make sure there is at least one link in the email which can ultimately drive a call to action. To make it easier for subscribers or clients to buy from the company, have a dedicated landing page for the specific marketing campaign. The reason for an email is for it to be opened, and the main tool that will help in that is the subject line. Statistics show that 33% of email users tend to open an email solely based on the subject line, while another 69% report messages as spam based on the subject line. The subject line needs to compel the user to open and read the content of the email. The best way to have a really effective subject line is using public data. The subject line is not supposed to be very long, 30 characters or less tend to have an above average opening rate. When a subject line is personalized, it raises the stakes by 22.2%. Once the email is opened, the task is not complete. Optimize the email content by using the email formula and personalization. After using the name of your client, state the problem they are facing and offer a solution. Another way to optimize the email body is by referral approach. Potentially mention some of the larger clients the company is working with, and then describe the offer. When sending a cold email make sure the email does not appeal to everyone. Each client is different, therefore, the VP of Sales should tailor the email to suit each client. Making an email a one-size-fits-all does not work any longer. The needs of a small business owner do not match that of a CEO of a Fortune 500 company. The email should be relevant to the client as it shows that you care about them. Plus, if you segment the list into different groups and make each email unique for each group, the click rates increase by 26%. The message should show the client why they got the email. You can start by mentioning their name, what you have in common and then the offer. Nowadays, it is known that mobiles are opening most emails. According to the State of Email report in 2017 show that a mobile device opens 54% of emails. More than 40% of mobile users check email more than four times a day (If you’re like me, its more like four times an hour 😉 ). This means that the % of email read on mobile devices is increasing. 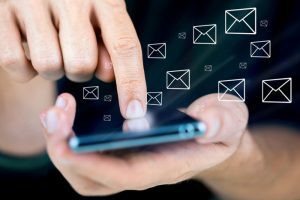 This may come as a surprise, but mobile devices are here to stay, and, therefore, as a VP of Sales, the email message should be optimized for mobile devices. 70% of customers whose emails do not render on mobile devices, delete the emails. This means that when creating emails for mobile devices, make sure the images can be read on a mobile. Secondly, email marketing aims to drive traffic to the company’s website to convert. Make the process is as easy as possible, be it purchasing or registering. 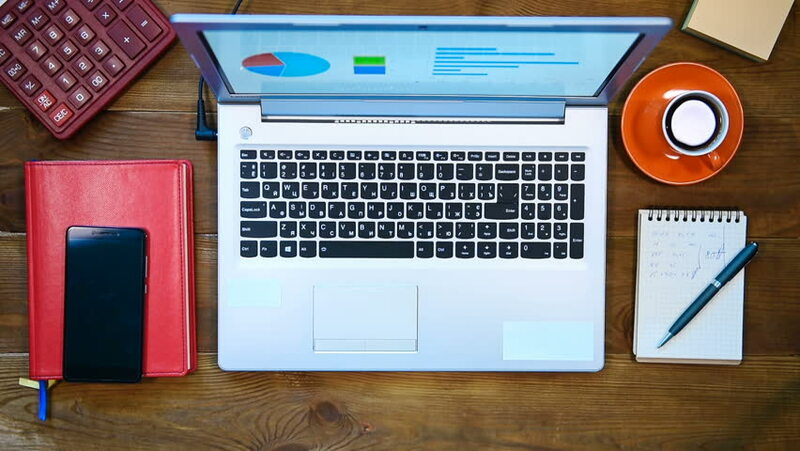 In conclusion, these tips should help in making sure the next email campaign will run smoothly, and the email content will be relevant to the client or subscriber. For any lead generation manager, these tips will come in handy when you are trying to gauge the market growth of the company via emails.